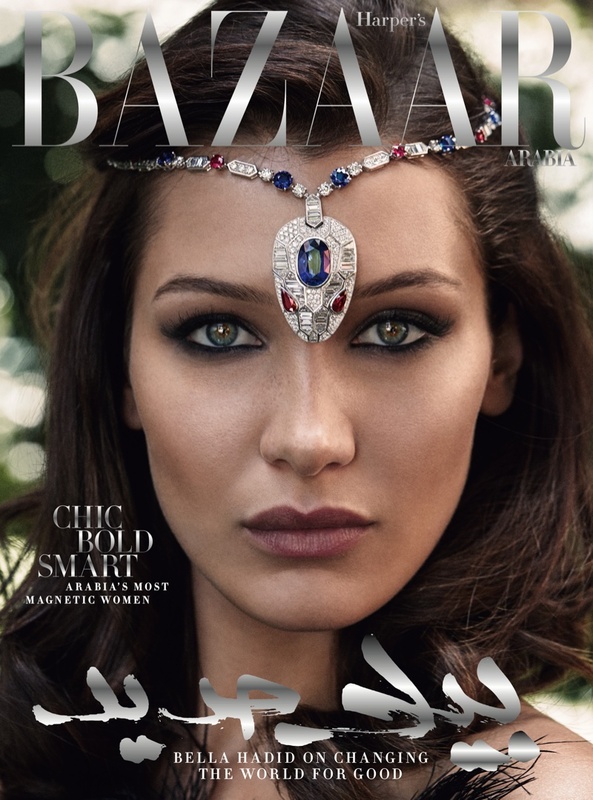 Featuring as the cover girl of Harper's Bazaar Arabia's October 2017 issue, Bella Hadid is a bejewelled delight! Clad in designer ensembles and precious gems and jewels, the model is photographed by Victor Demarchelier. Bella has an intense sultry and smoky gaze on the cover, with a Bulgari necklace as a headpiece, looking sensational. For the rest of the shoot Bella dazzles in sequinned and embellished gowns, and flaunts dazzling pieces of statement jewellery. The model is seen in ensembles from high-end brands such as Alexander McQueen, Elie Saab Haute Couture and Oscar de la Renta, styled by Anna Castan, and is a vixen for the shoot.